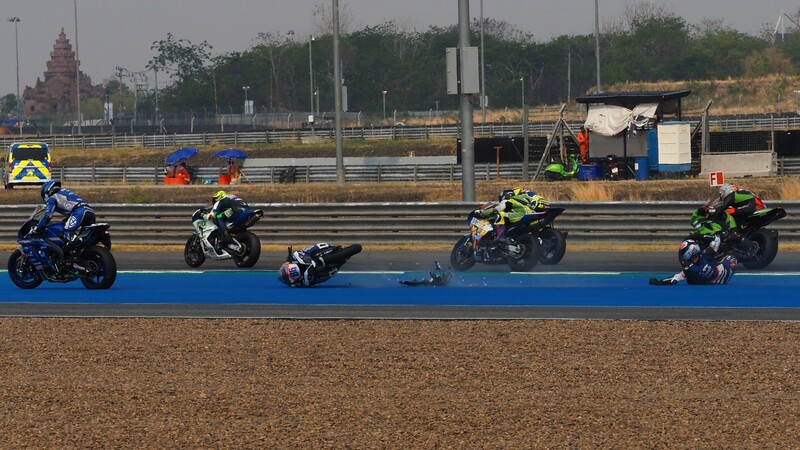 Perolari: "It was just like in motocross!" 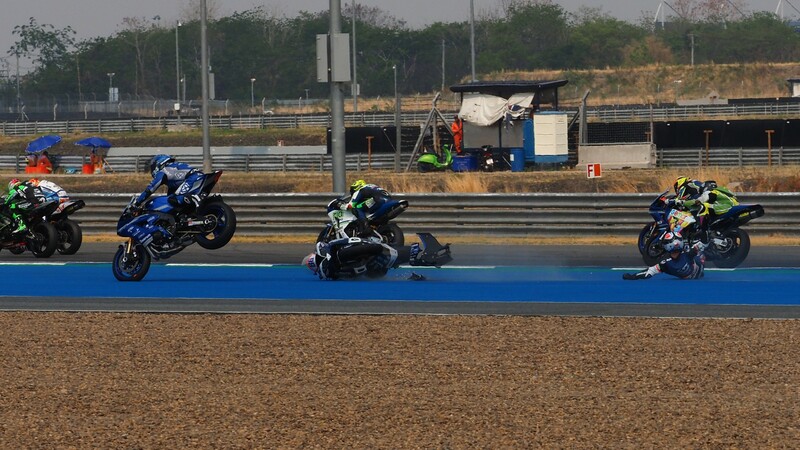 Corentin Perolari’s (GMT94 YAMAHA) first trip around the Chang International Circuit was definitely one to remember – if only for perhaps the most literal OVERtaking manoeuvre we’ve seen so far this year. 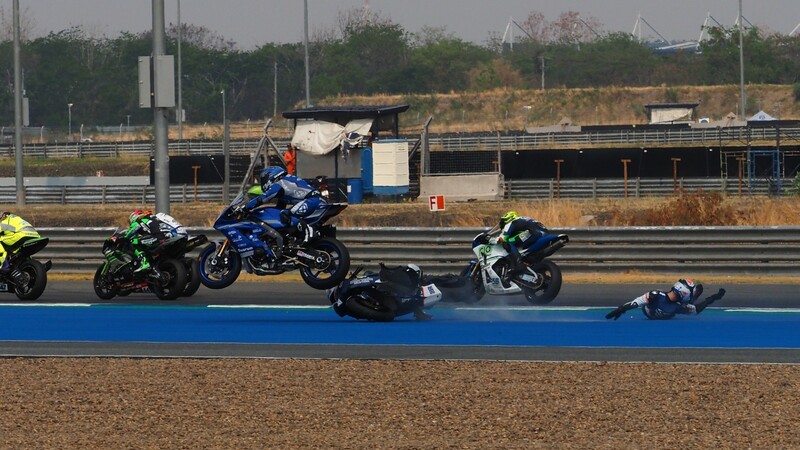 After starting the FIM Supersport World Championship race at the back of the fifth row, the young French rider found himself in a precarious situation shortly after the lights went out. 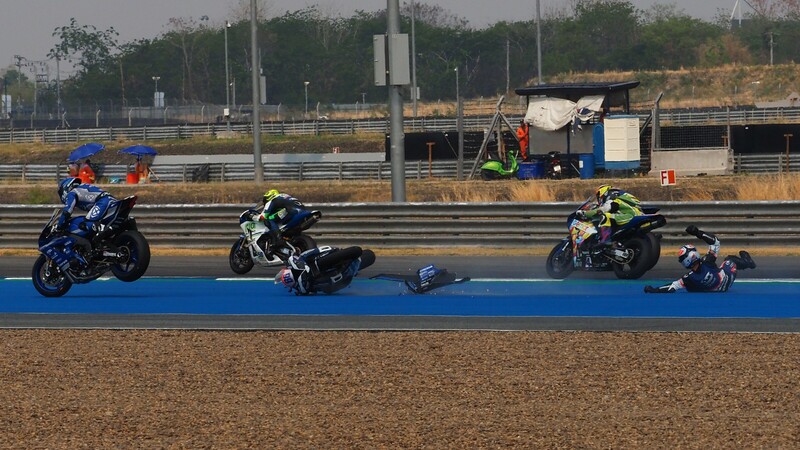 “After the start, Badovini slipped on the inside. 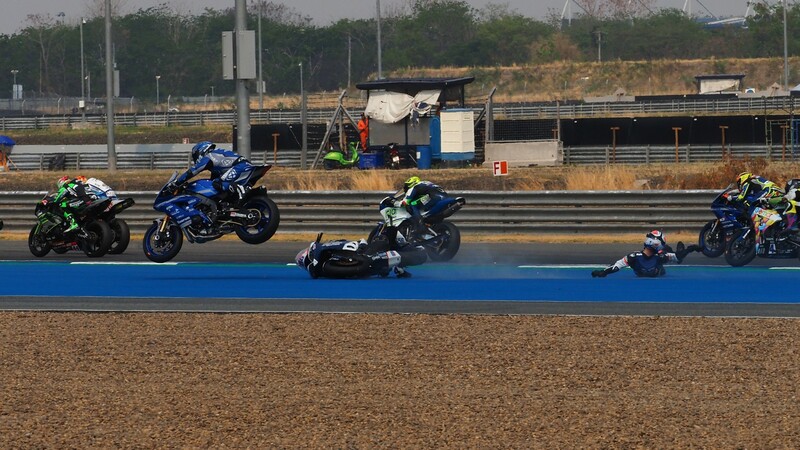 I didn’t have any choice but to straighten up my bike so that I wouldn’t roll over him” he recalls. With his eyes on the fallen Italian, Perolari didn’t notice the incoming ZX-6R until it was too late – and he was forced to relive his early MX days: “Suddenly I hit his bike, it was more like like motocross!”. 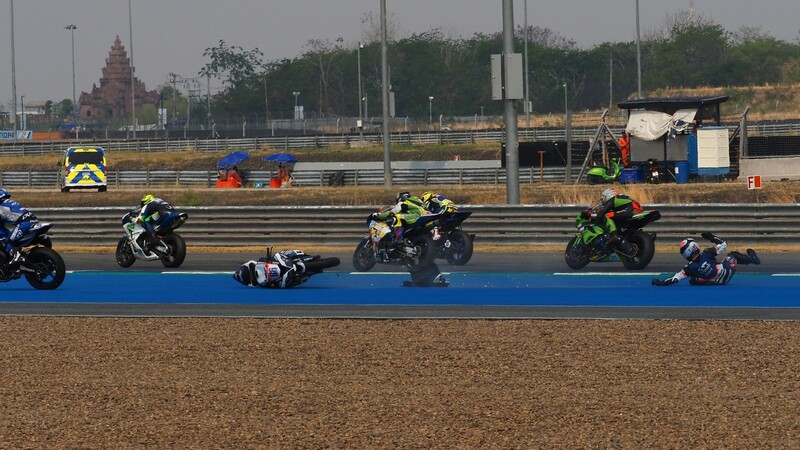 This unwilling tribute to Jakub Kornfeil’s superb save at the 2018 French GP wouldn’t have been complete without a points-scoring finish. 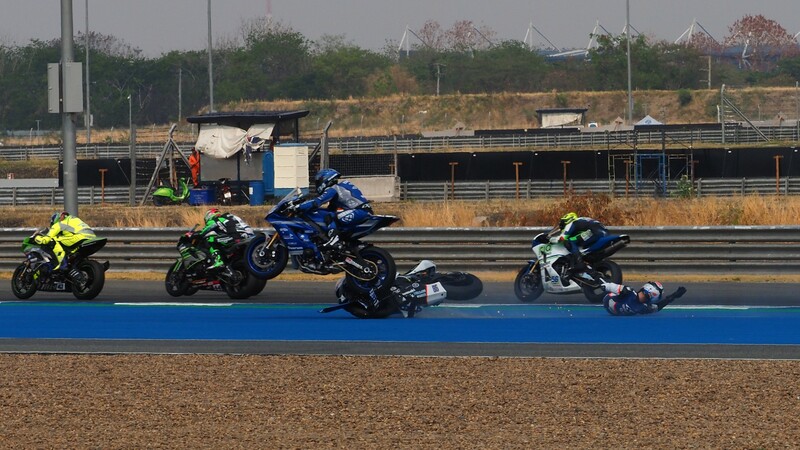 After the incident, Perolari found himself at the back of the field and began a stunning comeback to 11th: “When I managed to get back onto the track, I was quite a way behind the last rider. I nearly bust a gut trying to come back. Without that incident, I think I would have been able to lead the group in front of Lucas [Mahias], because I had the speed”. 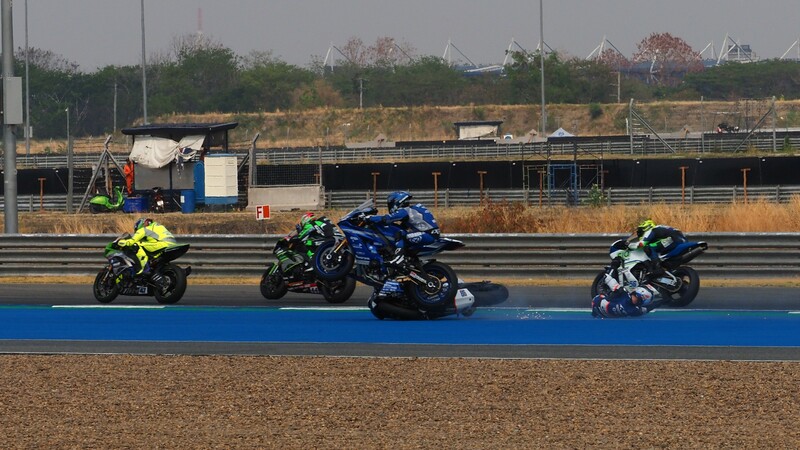 Perolari’s aerial prowess was not the only headline-grabbing moment for GMT94 Yamaha in Thailand, as Jules Cluzel romped on to a fantastic win from pole, his second in Buriram. 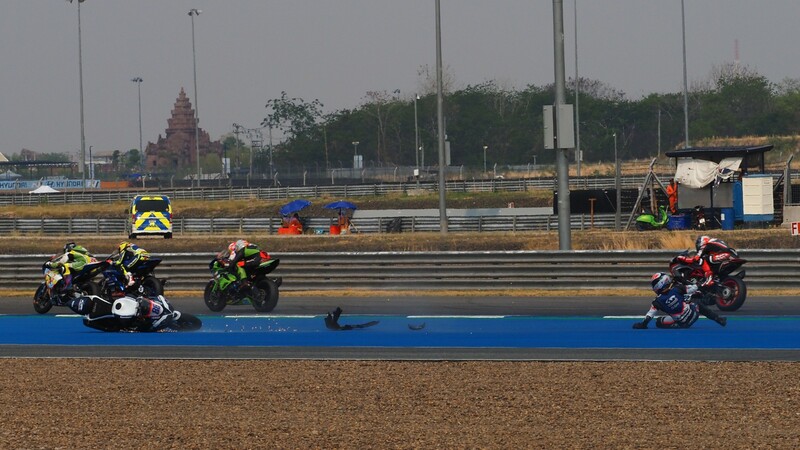 Relive the Frenchman’s stunning save and all the action from the Pirelli Thai Round thanks to WorldSBK VideoPass.